Vitamin C, one of the most commonly known vitamins, can have a great effect on our body. Nevertheless, the return of scurvy in today’s society has highlighted a lack of this key vitamin in some people’s diet. This rare illness, which is generally linked to an unhealthy diet coupled up with a shortage of vitamin C, has been talked about a lot. However a lack of vitamin C in our diet can also produce some surprising signs which might not, at first glace, appear linked to a shortage of this essential vitamin. Here are a 6 surprising signs that you should look out for that show you could be lacking vitamin C.
Of course, if you notice some of these signs it does not necessarily mean that you are suffering from a lack of vitamin C. In case of any doubt, you should get in touch with you doctor. Fortunately lots of problems linked to this shortage can be dealt with very quickly. You just need a treatment process, a good diet and adequate supplements. 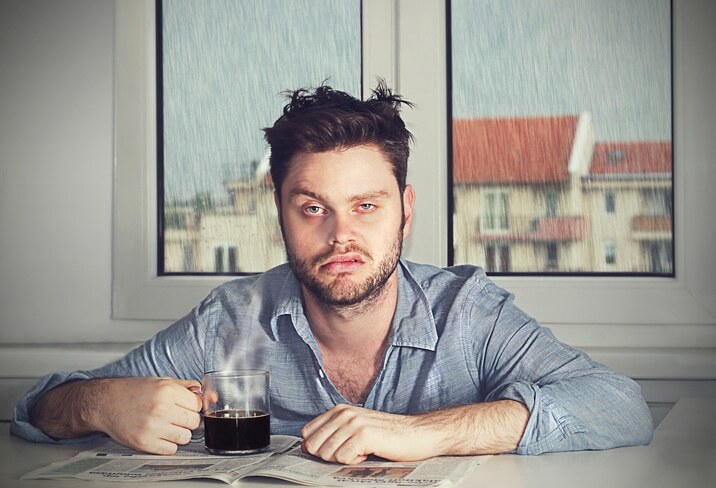 If you get irritable for no good reason or your feel tired despite the fact you have had sufficient rest, a lack of vitamin C could be the cause! Your body won’t have an immunity system as good as before which leaves it to the mercy of outside attacks. What is more the body starts to slow down as it is going through many important metabolic processes. A a lack of this vitamin weakens your blood vessels. This can also give you big bruises which are similar to small purple points. What is worrying about these bruises is that they seem to appear out of the blue without there being a shock or a trauma to your body. This can also bleeding gums and nose. The slightest irritation like brushing your teeth, eating something hard or blowing your nose can test your blood vessels! 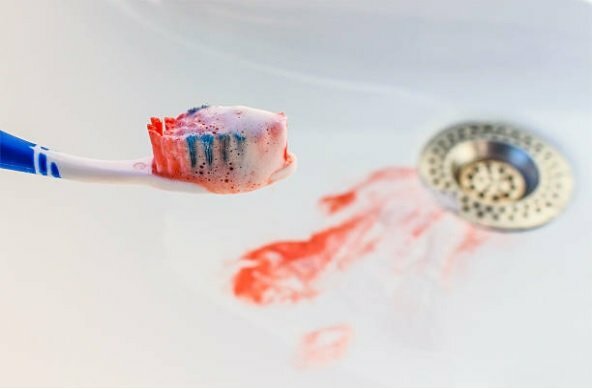 Be careful as bleeding in your mouth can worsen into gingivitis or can cause the loss of teeth. If you notice severe bleeding in your gums you should contact your dentist. More aesthetic external signs can also show you are lacking vitamin C. If you don’t have enough vitamin C collagen production and synthesis becomes less efficient. This can have repercussions on your skin which can become dry or rough. As a result keratosis pilaris can worsen. Often this happens behind your thighs, arms and under your bottom. Surgical injuries or cuts can take longer to heal than usual. Problems linked to collagen directly impacts tissue renewal and bone and muscle strength. 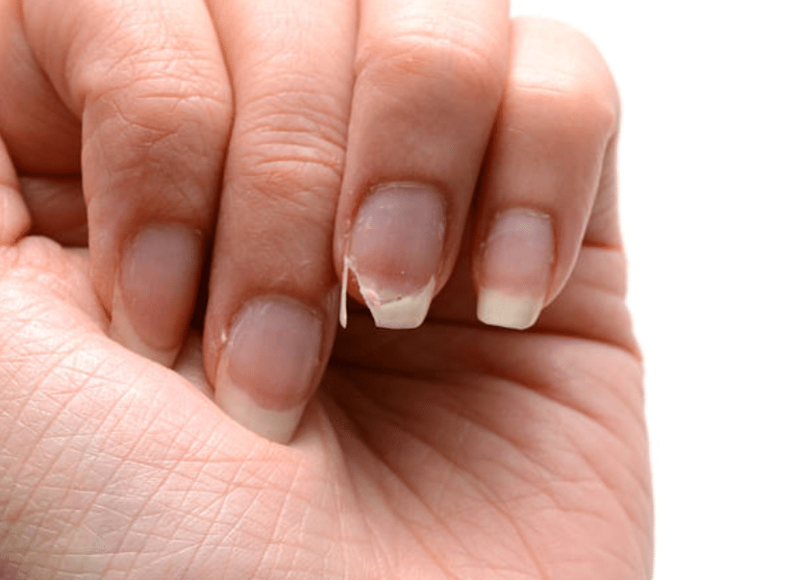 You can also notice that you nails become more brittle, weak and lined in pink. Their form can also become more flared like a spoon. As for your hair, it can become more fragile, curl and can break more easily. Vitamin C plays an important role for our immunity. Without vitamin C, your white blood cells are less numerous, which exposes you to all the viruses that are floating around. 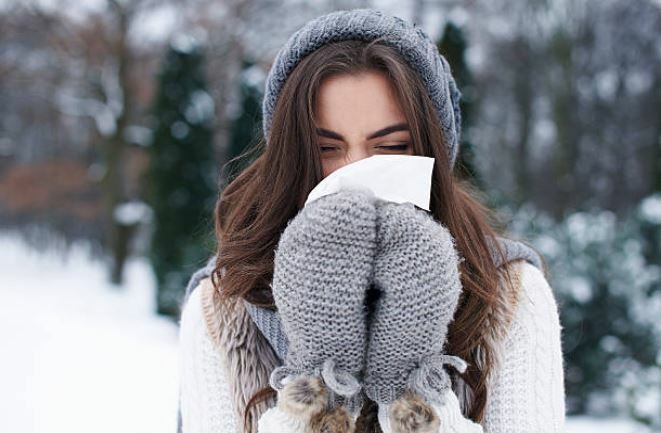 Therefore don’t be surprised if you get a wave of colds or flu symptoms! Of course this can be linked to other conditions. 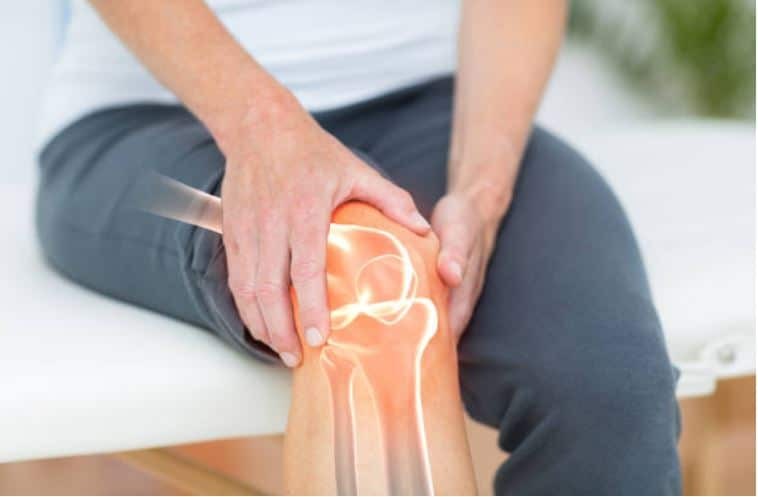 However, various inflammatory pain and swelling of joints can be caused by a lack of vitamin C. This can notably increase the risk of tears, tendinitis or even arthritis. Unfortunately, again this is caused by the link between absorbic acid and collagen. This protein plays are key role for tissues and healthy joints. Bones can also become more fragile and be subjected to more breakages or osteoporosis. It is not unusual to lack both iron and vitamin C at the same time. 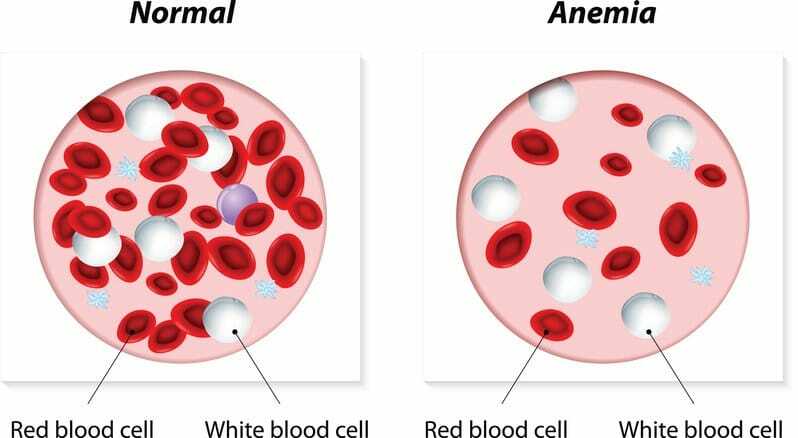 To begin with, minimal blood loss as described earlier may be enough to cause anemia. In addition, vitamin C helps iron assimilation and fixation in the body. If you notice some signs that are similar to iron anemia, this may be related to vitamin C deficiency! Choose a healthy and varied diet that based on seasonal vegetables. Vegetables eaten out of season are less rich in vitamins and so therefore less beneficial. Choose foods that are rich in vitamin C like kiwis, yellow peppers, papaya, guava, sea buckthorn. Here are some of the foods that contain vitamin C.
Remember that vitamin C is very fragile especially in hot temperatures and in the light. When you freshly squeeze orange juice you should drink it immediately. You should also eat these foods raw as very cooked it destroys the vitamins.